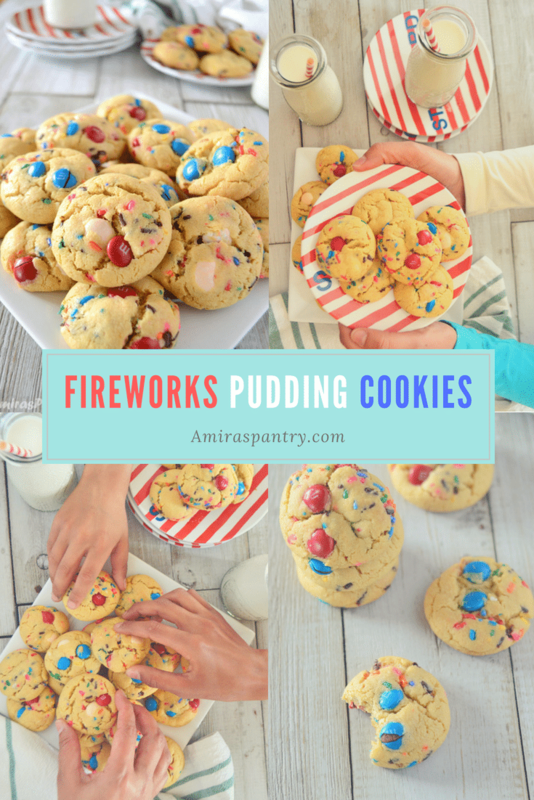 Fireworks Pudding Cookies are one of the easiest patriotic desserts to make. Perfectly soft and chewy on the inside, with crisp edges on the outside.Quick and easy recipe, perfect for last minute party dessert. Try this red white and blue ice cream knafeh for a stylish celebration. 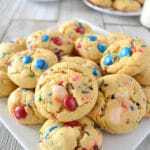 Ooh that red white and blue cookie is terrific and dangerously easy to make.These are not too sweet, almost as sweet as these barazek cookies. 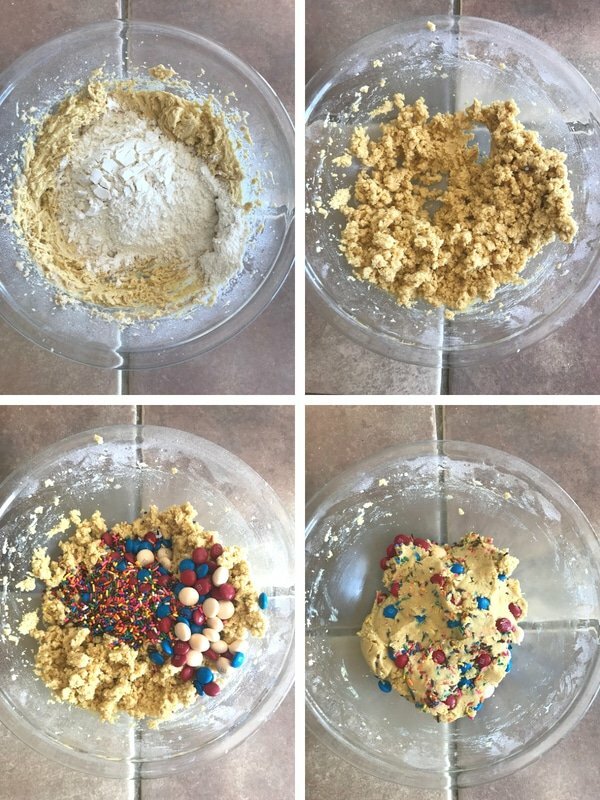 This is one of the easiest cookie recipes you’ll ever come across, very forgiving and sort of dump and mix cookie. Although we cream sugar and butter, it is not that hard at all. 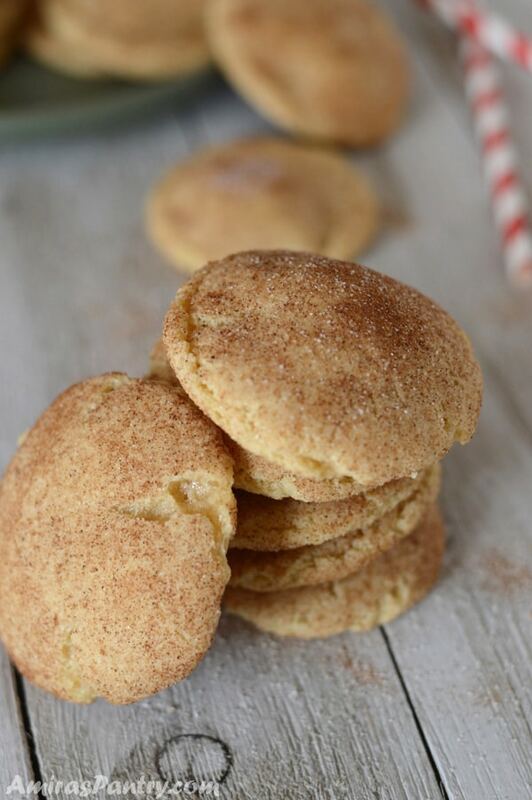 These cookies are brown sugar pudding cookies, brown sugar is the only sugar I’ve used in this recipe.I’ve learned that brown sugar intensifies the flavors of cookies plus it helps in making them pillowy soft and chewy… = a winner cookie. 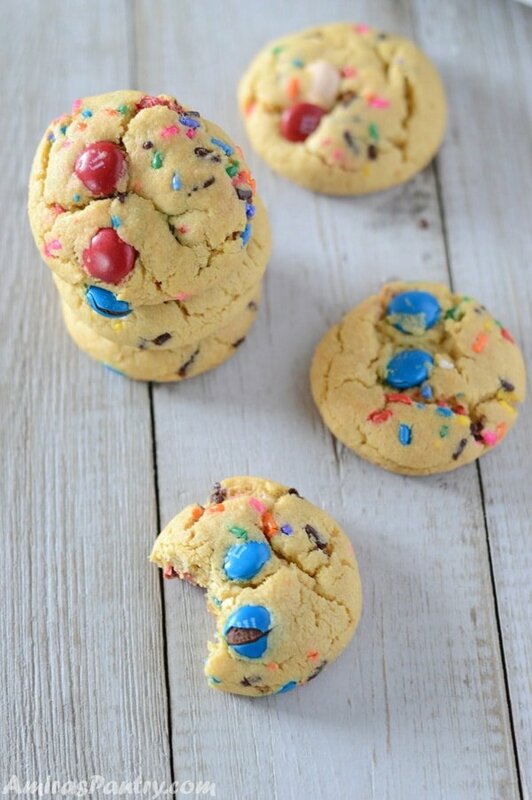 You can use any sort of pudding for these cookies as a variation, using butterscotch pudding for an intense butterscotch flavor, think chocolate for a more chocolat-y one. Here I’ve used vanilla flavor with the brown sugar so you’d most likely get the taste of a chocolate chip cookie. You also can use any M&M chocolate color, think white pink and red would be very suitable for valentine. 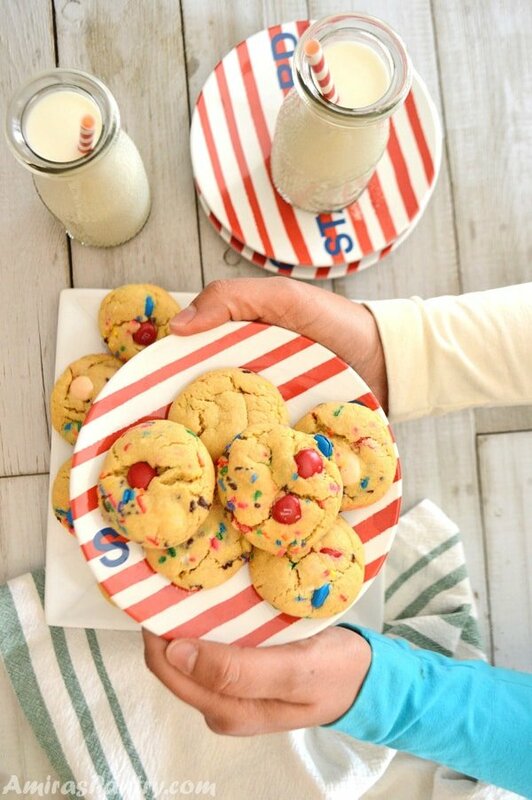 Because we are headed to memorial day and after that we’ll have the 4th of July, these red white and blue M&Ms are very suitable for the summer parties. Cream butter and brown sugar until creamy and fluffy, almost 1 1/2 to 2 minutes. Add the egg and mix again then add pudding and beat. In a small bowl whisk together the dry ingredients, then add to the butter mixture and beat well. Stir in the sprinkles and the M&M chocolate. Using the small ice cream scoop, drop dough onto prepared baking sheet. At this stage you can freeze the balls for 45 minutes then store in a Ziploc bag in the freezer. 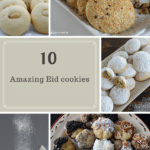 Let them cool down and share with family and friends…. marvelous! If you enjoy soft and chewy chocolate chip cookies, you’ll definitely have to give this recipe a try. The vanilla pudding works its magic to make these extra pillowy yet chewy. One of the many things I like about these cookies is the fact that they are freezer friendly. So whip up a big batch, bake some and freeze round balls for later to be baked when you are craving cookies. 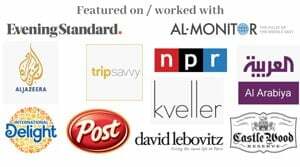 1 Package (3.4 oz) vanilla instant pudding mix. In a deep bowl, beat together butter and sugars until creamy. Add egg and vanilla extract then beat well. Add the pudding and beat. Add the dry ingredients to the butter mixture and mix well. 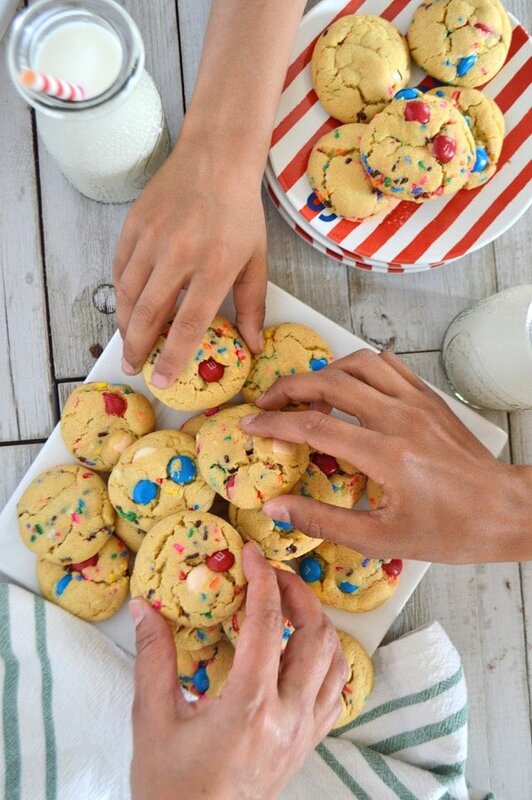 Stir in the sprinkles and the M&M. Line a baking sheet with a baking mat or parchment paper. 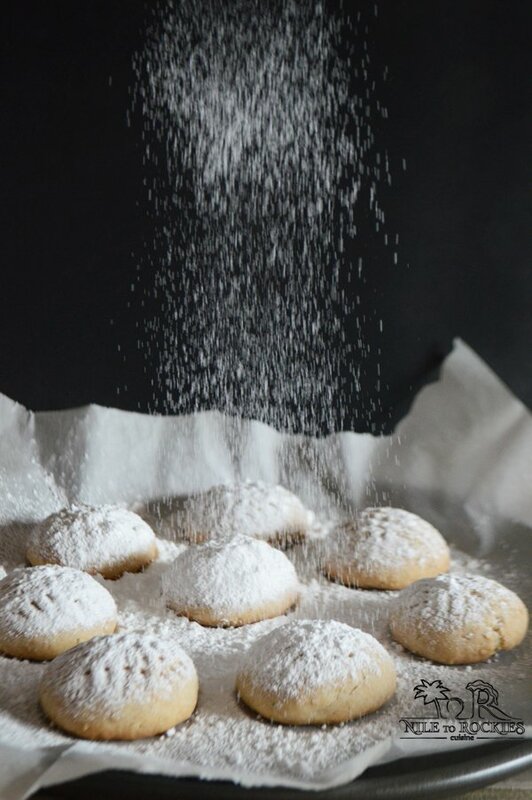 Scoop about 2 Tablespoons if the cookie into rounded Balla and place 2” apart. Bake for 12-13 minutes or until edges start to brown. 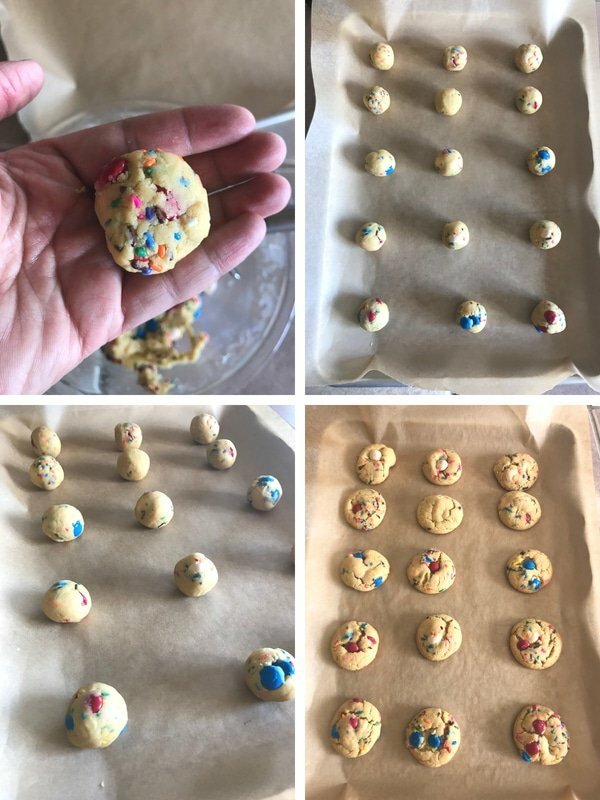 Cool cookies on the baking sheet and transfer them to a cooling rack to cool completely. Leftovers should be stored in an airtight container preferably in fridge or freezer. 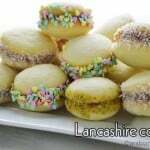 Can these cookies be made without sprinkles? Look so pretty and colorful with them, I just don’t have any on hand. 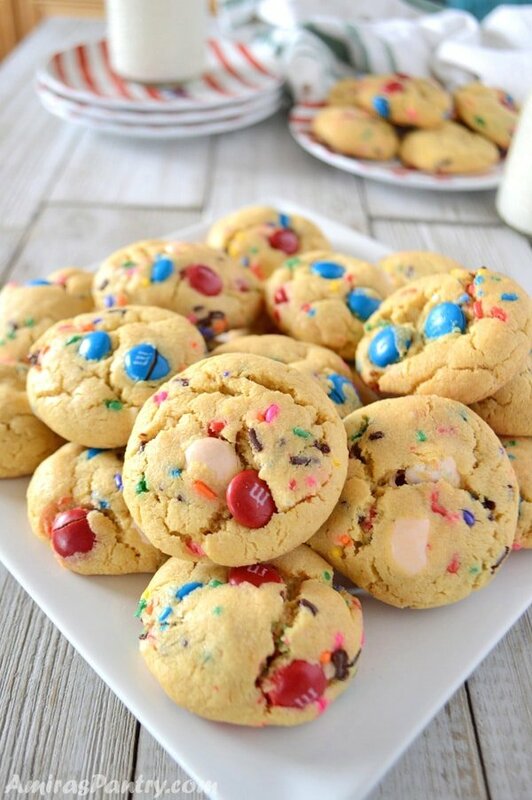 Also, would different types of M&Ms work as well such as the white chocolate peanut ones or would that mess up the ratio of candy to dough since they’re bigger than the original M&Ms? 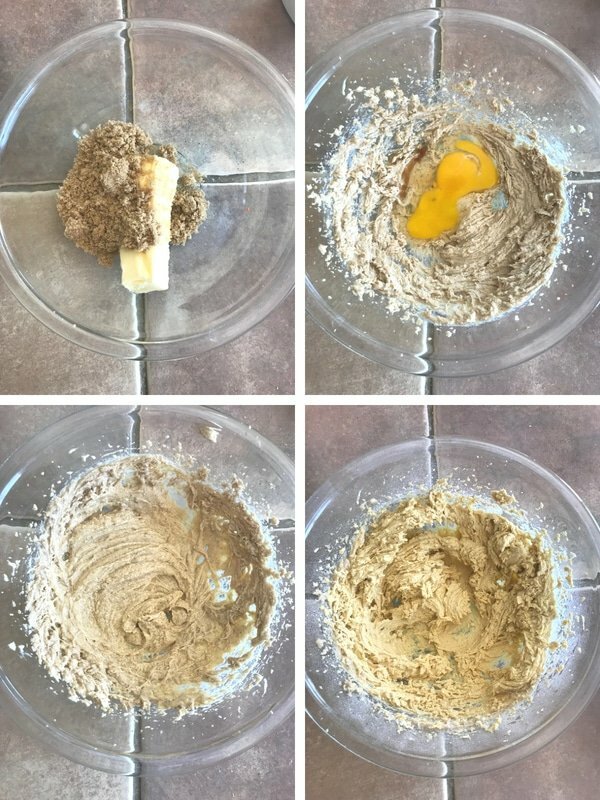 Great looking recipe, thanks for sharing! Alyssa, sure thing. Use whatever M&Ms varieties you have and if you do not like sprinkles or do not have them it is not a big deal. 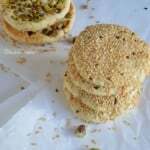 I hope this will help and I hope you’ll like the recipe.